MyCafe Plastic Cups 7oz Blue (Pack of 1000) DVPPBLCU01000V Pack of 1 Translucent Blue cups for water or other cold drinks. Not suitable for hot drinks or vending machines. Ideal for outdoor events and general catering. 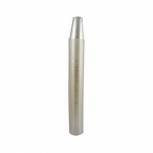 97mm high. 70mm wide at top. 44mm wide at bottom. 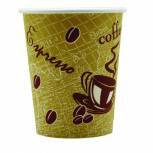 Single Wall Paper Cup 8oz Printed (Pack of 50) 8209936 Pack of 1 Suitable for both hot and cold beverages. Manufactured from poly coated premium food grade board. Pre-printed with a stylish Ready 2 Go design. Lids available separately. Single wall construction. Capacity: 8oz. Pack of 50. 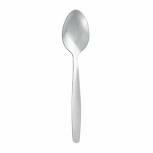 Stainless Steel Cutlery Teaspoons (Pack of 12) F09656 Pack of 1 Attractive and practical Scandinavian style teaspoons. Made of stainless steel with satin-finished handles. Tough, stain-resistant and dishwasher-proof. Fantastic value catering supplies. Ideal for canteens and cafeterias. Pack of 12. 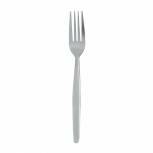 Stainless Steel Cutlery Forks (Pack of 12) F01525 Pack of 1 Attractive and practical Scandinavian style forks. Made of stainless steel with satin-finished handles. Tough, stain-resistant and dishwasher-proof. Fantastic value catering supplies. Ideal for canteens and cafeterias. Pack of 12. 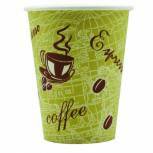 Caterpack 12oz 35cl Hot Cup (Pack of 50) HVSWPA12V1 Pack of 1 Nupik 12oz Ready To Go Drinking Cup. Ideal for catering and hospitality businesses. Sip through lids also available. Pack of 50. 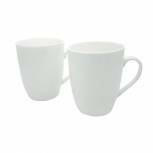 12oz Squat Mugs White (Pack of 12) P1160116 Pack of 1 12oz Squat Mugs White Pack of 12 P1160116. 12oz capacity. Dishwasher safe. 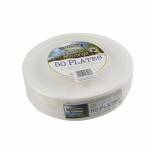 Paper Plate 9 Inch White (Pack of 100) 0511041 Pack of 1 Great for parties, picnics and buffets. Ideal for presenting food for events and conferences. Convenient and disposable. Other disposable kitchen utensils also available. Ideal for outdoor use. Pack of 100. Colour: White. 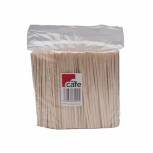 Wooden Coffee Stirrers (Pack of 1000) EIWS Pack of 1 My Cafe Stirrers ideal for stirring coffee and tea. Made from 100% natural wood these stirrers are more environmentally friendly than plastic stirrers. Stainless Steel Cutlery Dessert Spoons (Pack of 12) F09655 Pack of 1 Stainless steel, practical, hard wearing with the added touch of satin finished handles. 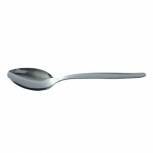 Dessert Spoon. 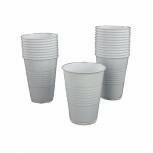 MyCafe Vending Cup Tall 7oz White (Pack of 100) GIPSTCW2000V100 Pack of 1 Disposable drinking cups. Tall model. Designed for use with vending machines. Suitable for hot and cold drinks. Capacity 20cl 7oz. White. 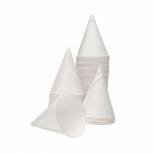 4oz Water Drinking Cone Cup White (Pack of 5000) ACPACC04 Pack of 1 4oz Water Drinking Cone Cup White Pack of 5000. Cone shape to reduce waste. Rolled rim for strength. 4oz or 12cl. Diameter 67.4mm. Height 88.6mm. 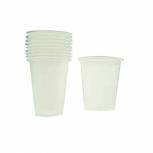 White Drinking Cups 7oz (Pack of 2000) DVPPWHCU02000 Pack of 1 Plastic drinking cups. Rimmed for stacking. Ideal for vending machines and water coolers. Suitable for cold drinks only. 7oz 200ml. White. Stainless Steel Cutlery Knives (Pack of 12) F09451 Pack of 1 Attractive and practical Scandinavian style knives. Made of stainless steel with satin-finished handles. Tough, stain-resistant and dishwasher-proof. Fantastic value catering supplies. Ideal for canteens and cafeterias. Pack of 12. 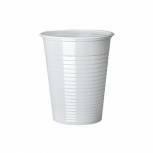 MyCafe Plastic Cups White 7oz (Pack of 1000) DVPPWHCU01000V Pack of 1 Mycafe Budget drinking cups ideal for cold drinks. Not suitable for use in vending machines or with boiling water. White. Pack 1000. 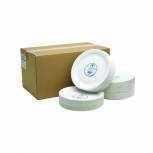 Super Rigid 9 Inch Biodegradable Plate (Pack of 50) 3864 Pack of 1 Super strong liquid resistant 9inch plates made from biodegradable non woven fibres. Can be microwaved or placed in the freezer. Ideal for parties and buffets. 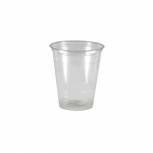 Maxima Clear Plastic Disposable 7oz Water Cups (Pack of 100) 510042 Pack of 1 Convenient and disposable cups. Great for parties, buffets and picnics. Ideal for office functions, events and conferences. For cold drink use only. Handy, lightweight and excellent value for money. Pack of 100. 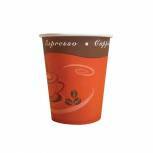 Caterpack 35cl Rippled Wall Hot Cups (Pack of 25) HVRWPA12V1 Pack of 1 Contemporary design. Rippled to insulate against heat. Rolled lip to create a seal with the lid. Fully recyclable. Supplied in a pack of 25. 35cl. 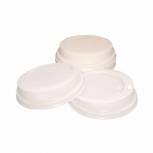 Caterpack White 25cl Paper Cup Sip Lids (Pack of 100) MXPWL80 Pack of 1 Lids for paper cups. Strong plastic construction. Designed with sipping aperture. For 25cl cups. Supplied stacked for easy storage. Supplied in a pack of 100. White.